The new electronic warfare system SPEWS-II designed by Turkish defense giant ASELSAN with the support of British aviation and defense company BAE Systems for Turkey's F-16 aircraft has successfully completed tests and entered into use, according to a report Thursday. 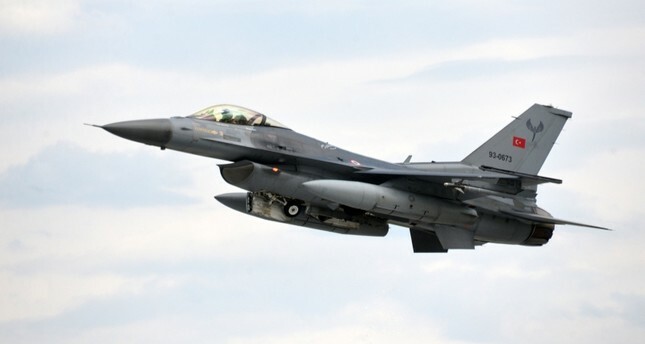 The SPEWS-II Electronic Warfare (EW) self-protection system project was first initiated by Turkish Defense Industries Undersecretariat (SSB) to provide protection in hostile zones for F-16 fighter jets in the Turkish Air Force's inventory. So far, 21 of the aircraft have been equipped with the system after the tests were successfully completed, according to a report by Turkish daily Yenişafak. With its radar warning receiver, the SPEWS-II system can detect radar signals coming from homing missiles and warn the jet's pilot. The system's electronic countermeasure capabilities allow it to confuse the signals that enable missiles to find planes and to deceive the missiles by sending signals showing the aircraft in different locations. The protection against radar-guided missile threats will be especially useful in Turkey's cross-border operations.